Today I am staying with old friends in Reno Nevada. Steve took me out on the mountain bike, we did a 3:45 ride, hard ride, definitely feel like I did some work. 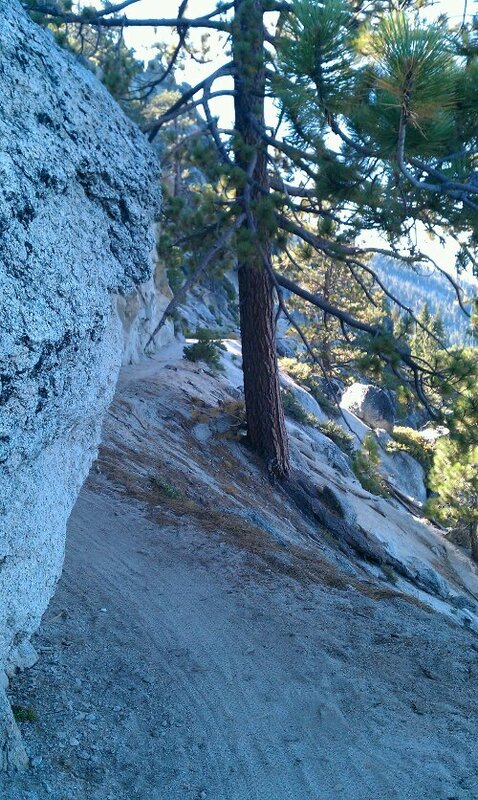 We did something like 30 or 35 miles off road climbing round near lake Tahoe. Amazing scenery with great views. I did fall a couple of times, and have a big swelling on my thigh where I hit a tree stump. Lots of ice and ibruprofen. Great picture. Looks like a great trip.